Today I have for you another grilling recipe. It takes minutes to prepare and ohhhhh the flavor of the potatoes taste like you baked it in the oven. I guess you can guess that today’s recipe has potatoes in it. It is my Herb and Parmesan Potato Packet. The potatoes are soft with a little bit of crispiness and the olive oil that was drizzled all over the potatoes caramelized them. They have a slight rosemary and dill flavor with a savory Parmesan Cheese flavor. It goes perfect with just about any meal. I served mine with BBQ chicken and a side of fresh tomatoes. The packets are so easy to make too! I used a pound of yellow potatoes, diced them up and made 4 packets. 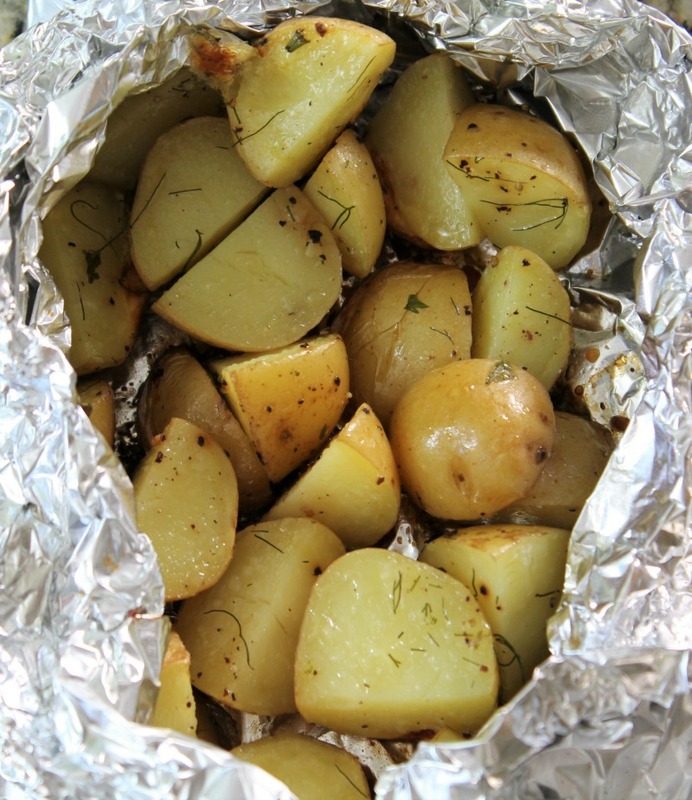 All you do is lay the potatoes in aluminum foil, top with herbs, cheese and olive oil. I mixed everything together in the packets, just using my hand. It’s easier that way. I folded up the packets and placed on the grill. They don’t have to be made all pretty when folding the packets up, just be sure it is sealed. I grilled the packets for 25 – 30 minutes, giving it a mix half way through. They were done perfectly. 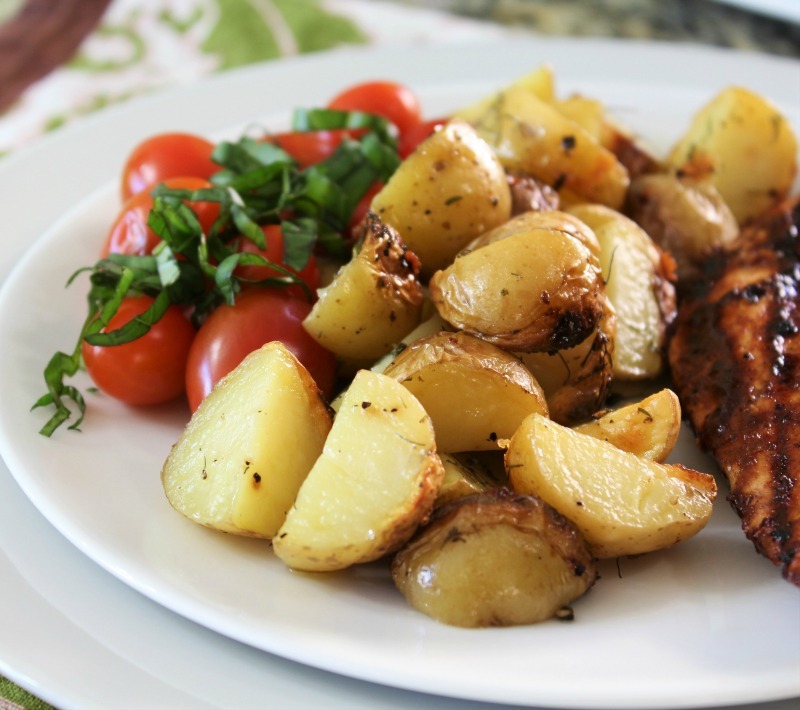 Just be sure you give your potatoes enough olive oil, so they don’t stick to the aluminum foil. When you take them off the grill they are ready to serve. You can eat them straight from the packet. Just be careful when you open them, they are hot. 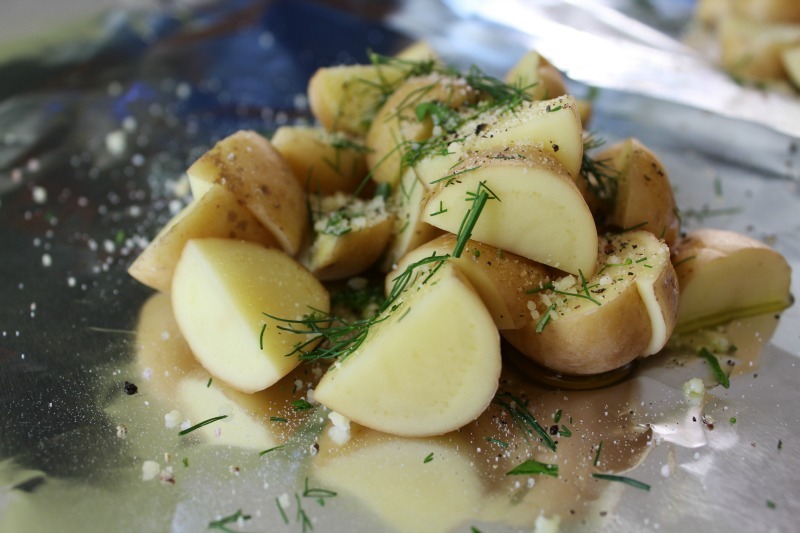 Yellow potatoes that are cooked in a foil packet on the grill that is topped with fresh herbs and Parmesan cheese. Set grill to medium - low heat. Make a 4 foil packets, by taking 4 pieces of heavy duty aluminum foil, about 9 "x 13" for each packet. 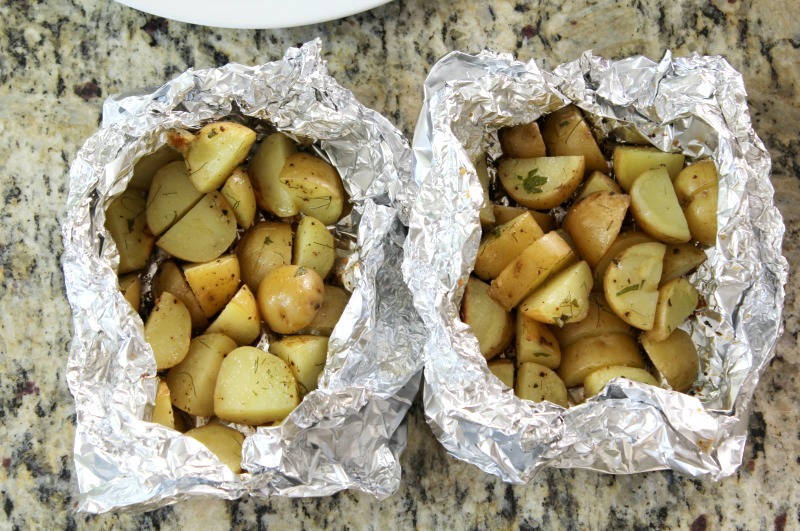 Evenly divide the potatoes in the center of each foil packet. 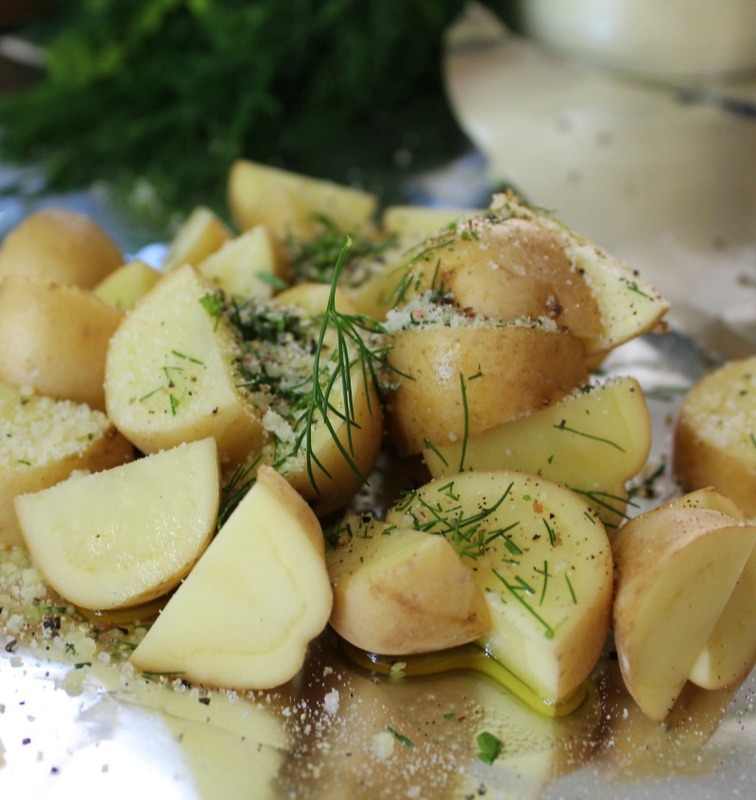 Evenly divide the herbs, Parmesan cheese, salt, and pepper over the potatoes. 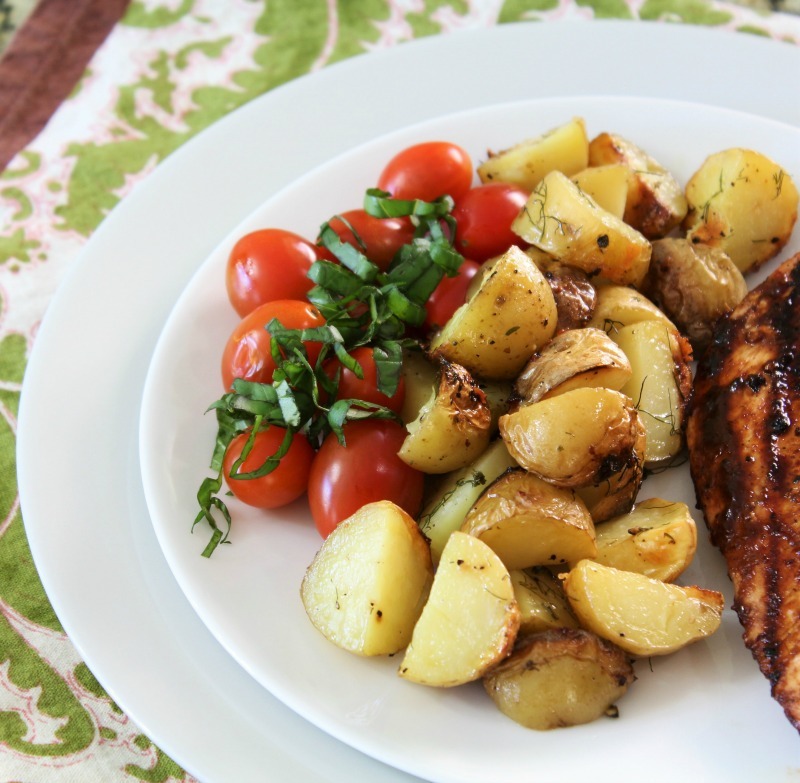 Drizzle olive oil over the potatoes. 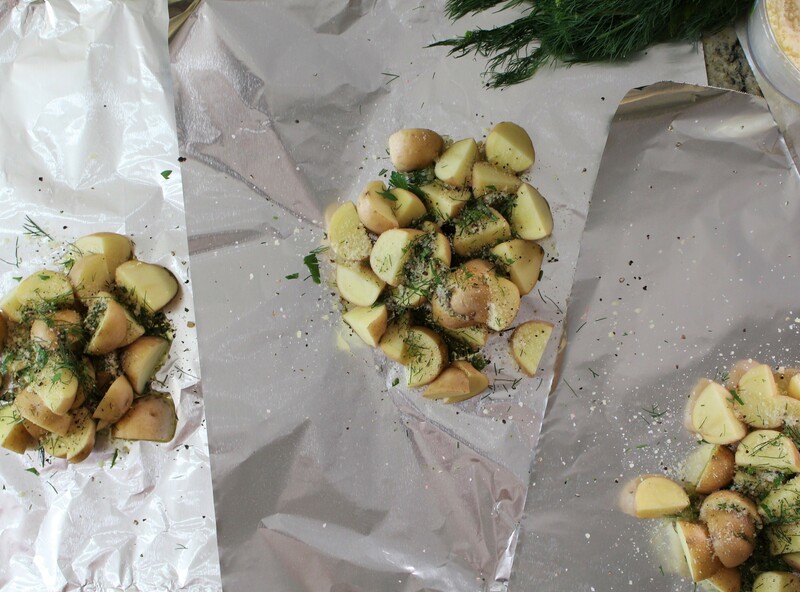 With your hands, mix until the potatoes are evenly coated with herbs and olive oil. Seal the packet up, it doesn't have to be pretty, by folding up the sides then folding over the top, just make sure the packet is sealed. Place on grill and cook for about 30 minutes. Stir once half way through. Cook until potatoes are fork tender. Carefully open the packets and serve. Just be careful of the steam. 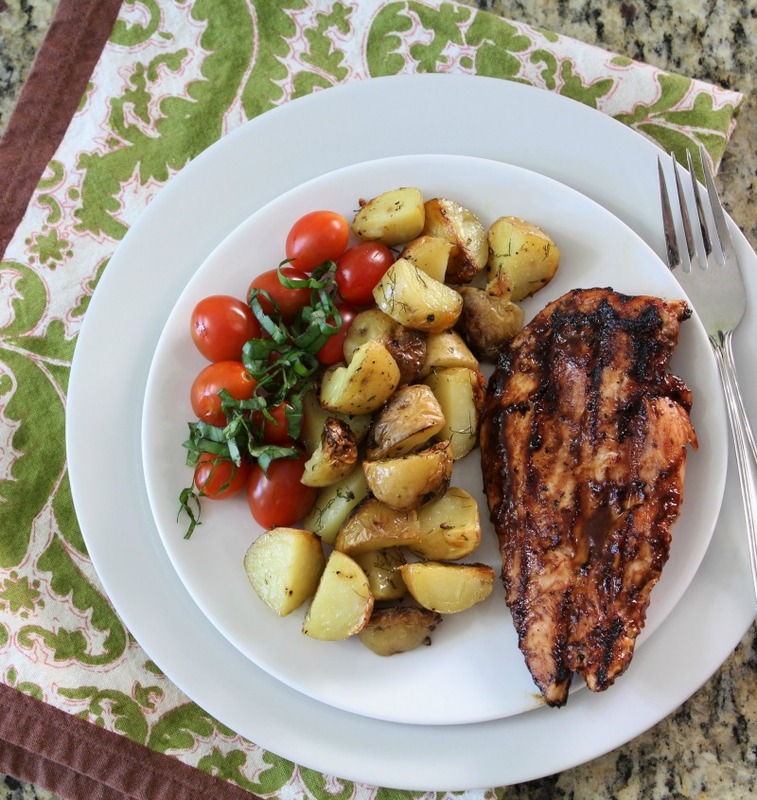 I certainly love summer grilling and nothing compares to using fresh ingredients. These potatoes were a hit and I am sure they will be for you too.